Right after drinking one, I set it to soak in the sink with some hot soapy water so I could remove the labels. It was a really disgusting, sticky label so I had to break out the Goo-Gone. 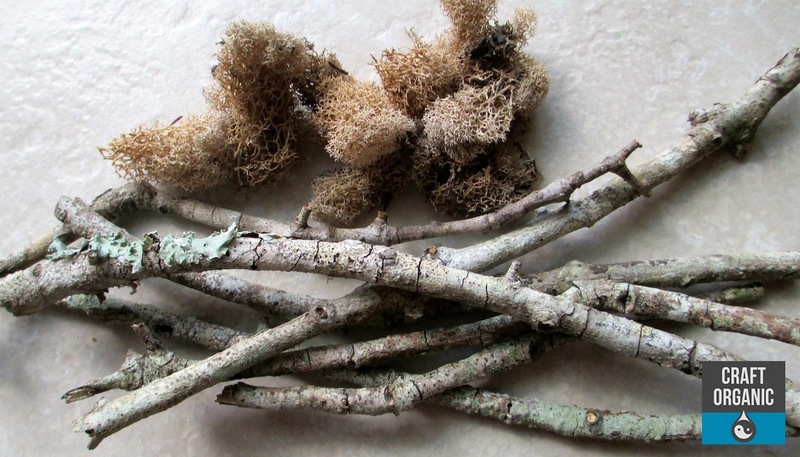 Once that was done I went outdoors to gather sticks that have fallen from the trees. Nice dead ones with lichen growing on them and then I grabbed our bag of reindeer moss and E600 from the garage. 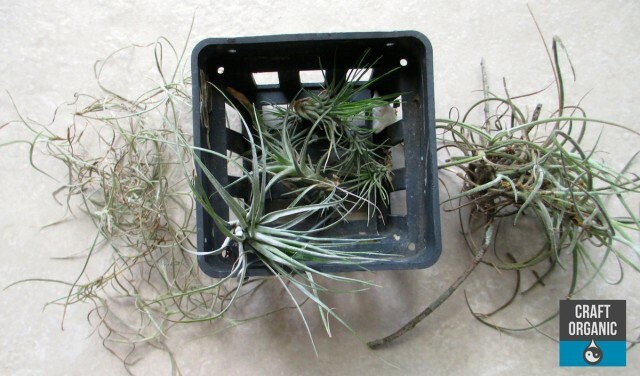 Oh yeah, I scoped out the garage for some tiny air plants hoping I didn’t grab something the Plant Man had plans for…. 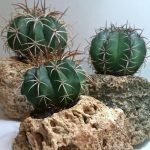 I always feel like I’m going to grab the wrong plant and then get my hands cut off as punishment! 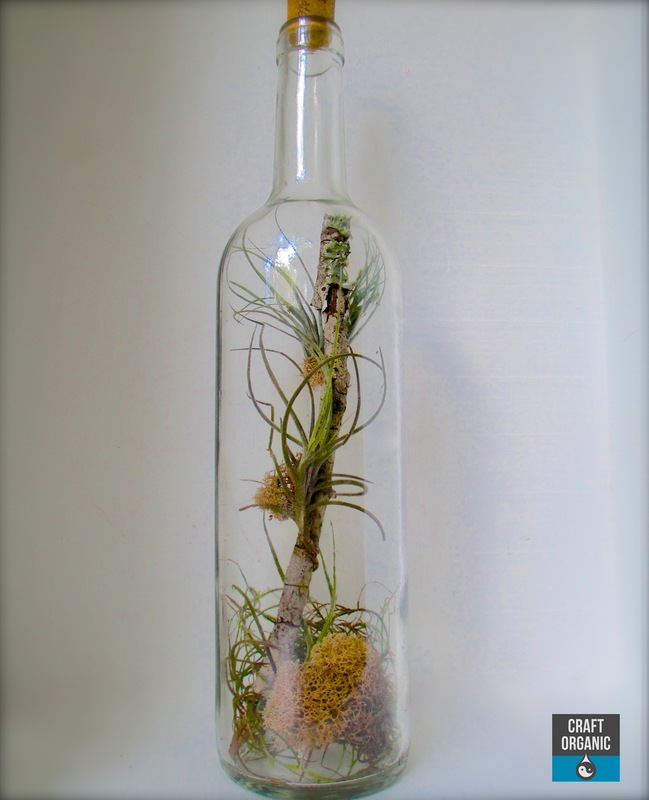 Take a couple sticks and check to see if they will fit into the bottle with a little extra room for the tiny air plant to fit as well. It’s important! I didn’t do that and my lichen end of the sick would not go in the damn bottle and I had to break it off and let the rest of the stick fall into the bottle. ….annoyed! 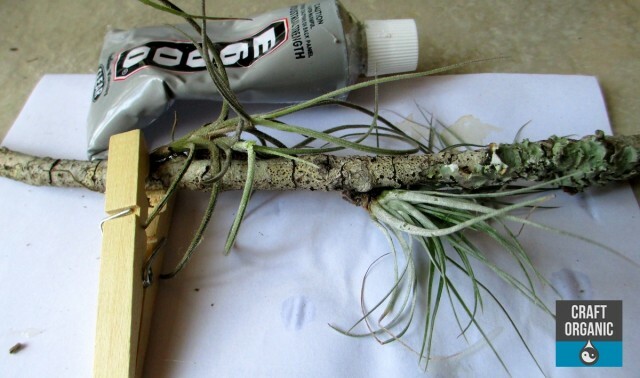 After checking to see if they fit, glue (E6000) a couple tiny tillandsia (air plants) to your stick(s) and allow time to dry. Nest you can shove some reindeer moss or spanish moss, or whatever into your bottle to create a little “nest” at the bottom….. or you can leave it empty at the bottom. Depends how you want it to look, it can be super minimal or fuller. After the tillandsia on your sticks have dried, gently shove them into your bottle. 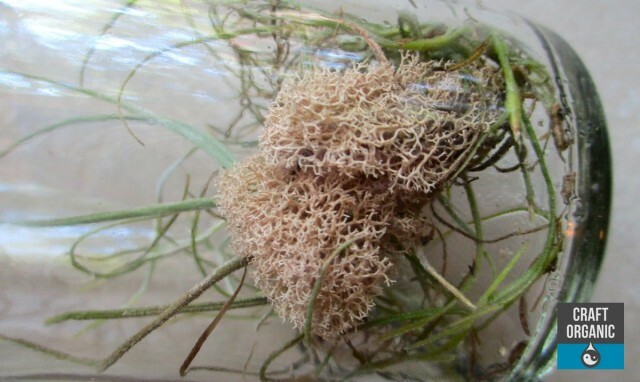 The tillandsia must be flexible and small enough to cram through that little hole. My first stick broke and then the tillandsia fell off inside the bottle ….annoyed!! 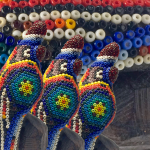 You can leave the cork on to make sure they absorb some moisture….oh yeah, put several drops of water in there too. Wetting the moss before you put in the bottle is another option.You can remove the cork the next day so they can get some air circulation. This is supposed to be a very simple, minimalist look. 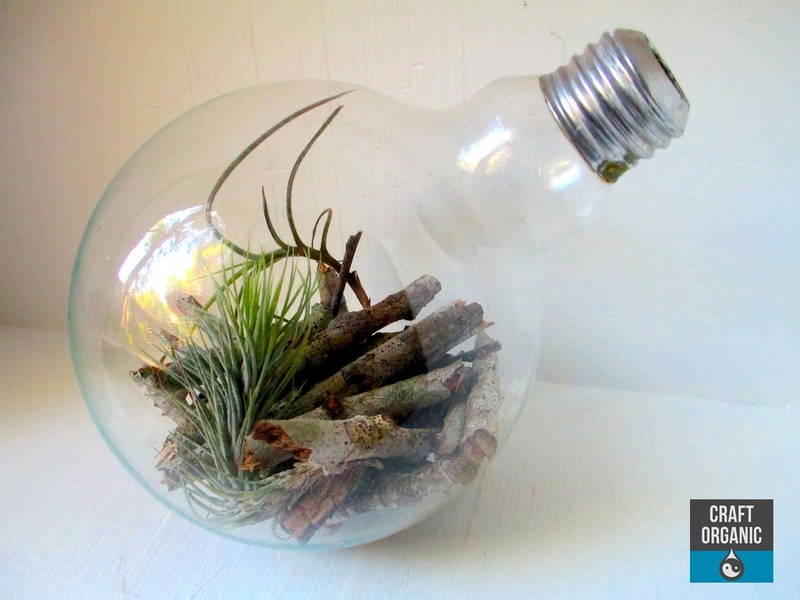 Don’t worry, mistakes WILL happen and you might break a stick or loose your air plant inside the bottle. Don’t smash it against a wall! You can also do it with a light bulb! Love the idea, am going to try it this weekend!! !